Address: Introduction of DG Marion. 6 minutes. There is a book that I have read recently entitled 6 Minutes in May, an account of how, in 6 minutes in May 1940, Winston Churchill became PM of Britain . It is indeed a special privilege and honour for me today to introduce our Governor for 2018-2019, Marion Johnston. 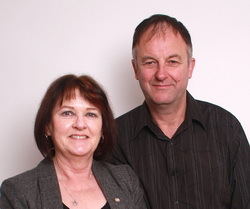 established automotive business in Wanganui which they have managed for the past 22 years. We are all the richer for having her in Wanganui. Marion and Mike have 5 adult sons and growing number of grand-children. 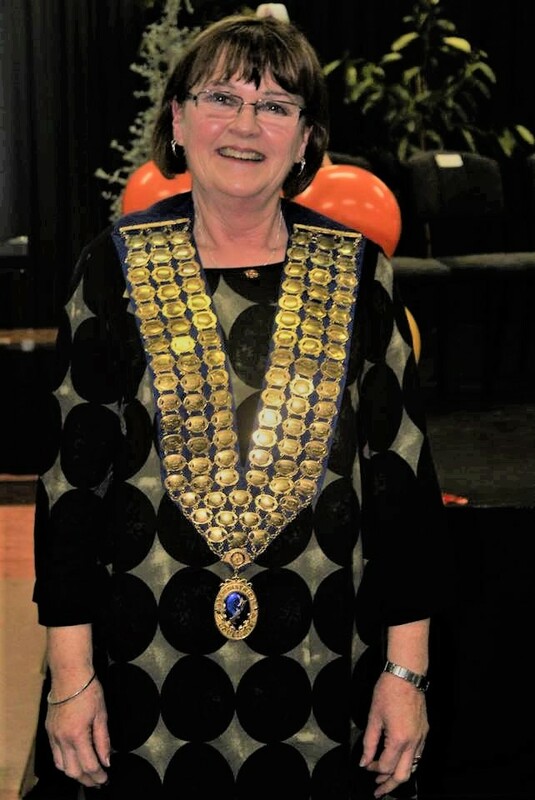 Marion becomes the second Governor from the Rotary Club of Whanganui North, the 6th from the Wanganui cluster of Rotary Clubs and the 4th woman Governor in District 9940. 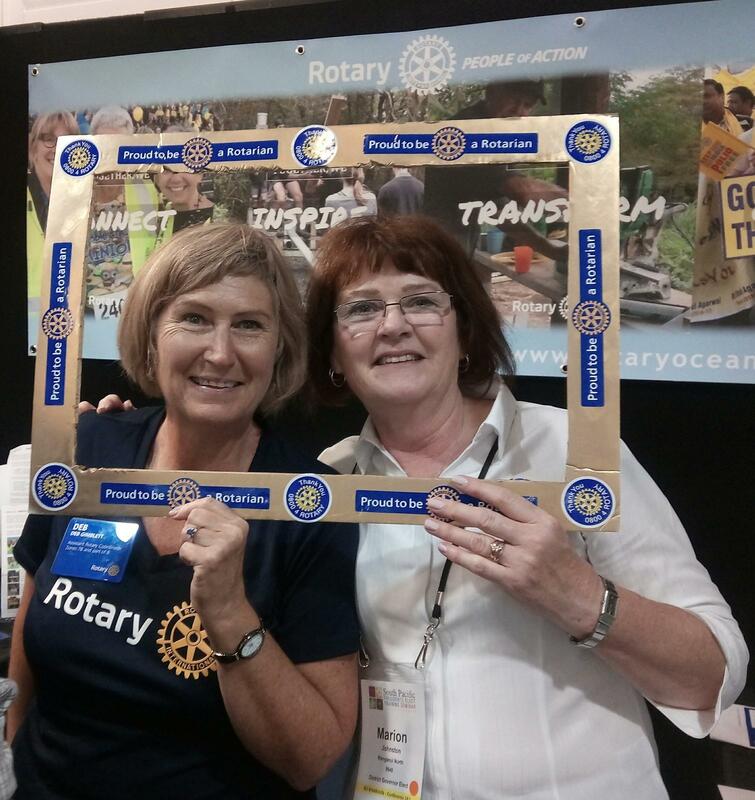 Marion joined the Rotary Club of Wanganui North in 2003, was Club President in 2008/2009, Assistant Governor of the Wanganui Cluster in 2013/2014 and 2014/2015, and served on the IYE committee in 2010/2011 and 2011/2012. She was awarded a PHF in 2012. Marion is multi-talented. She can turn her hand to anything. For example, she used to drive Mike’s truck in the early days when Mike was a truckie. Indeed, Marion and Mike have a passion for cars and have a 40 year involvement in motor sport. They are members of the Whanganui Vintage Car Club and each owns a vintage car, Mike a ’39 Dodge and Marion a Mark II Zephyr. When Marion joins an organisation she gives 100% effort. During the International Vintage Car Rally here in Wanganui in 2012 Marion designed and constructed the stage decorations for the evening entertainment. This involved 11 different bands performing over 11 nights and therefore requiring 11 different designs. 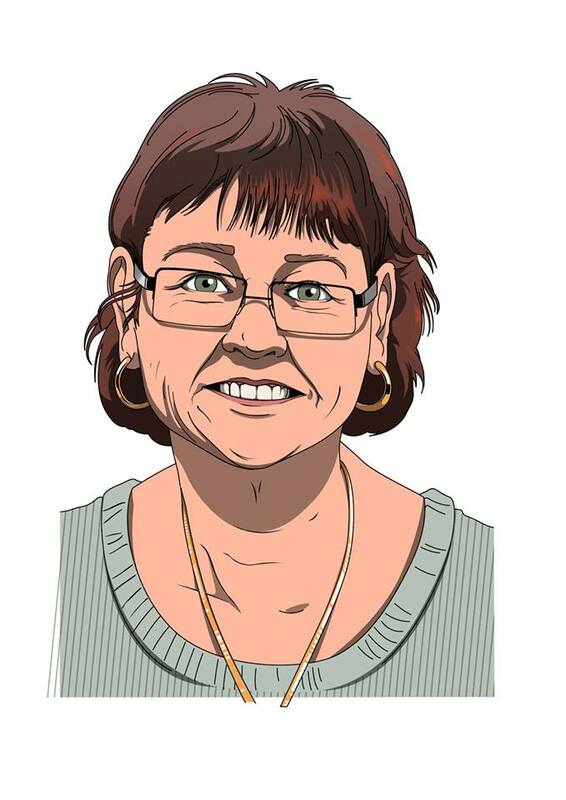 She has been involved in a similar capacity with the Motor Trade Association Awards nights being a key figure in coming up with the themes and decorations for those evenings. Marion has also been involved with the historic Wanganui paddle steamer Waimarie. She applied for the position of Administration Manager at the Riverboat Centre. The position initially involved limited hours which meant she could still look after her boys at the automotive business she and Mike manage . 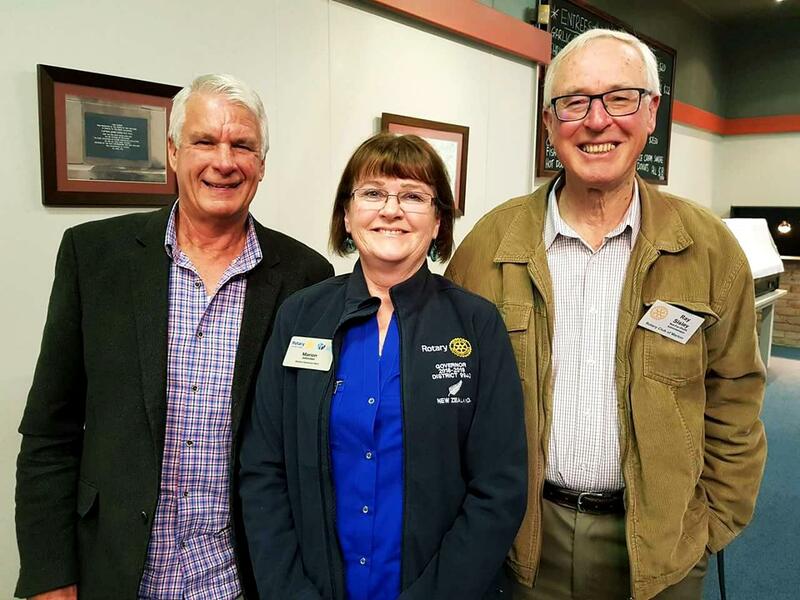 At the Riverboat Centre Marion introduced procedures and systems that enabled her to ensure the viability of this wonderful tourist attraction. Her customer focus shone as she engaged with the many tourists that visited. As the workload grew Marion needed help and it was decided to employ an office junior and progress Marion into a managerial roll, looking after the volunteers and staff, a roll she was already comfortable with from managing her garage staff, including Mike. Her people skills shone in this role. Marion then had to make a choice between the family business and the Waimarie and resigned her position. However, being so committed she couldn’t keep away and volunteered to Chair the Waimarie Trust, a position she holds today. 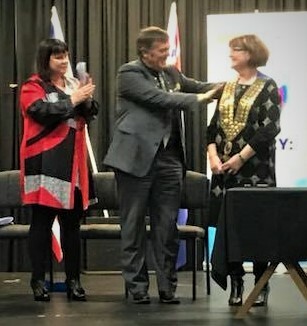 Marion, it gives me very great pleasure to invest you with the chain of office of Governor for District 9940 for 2018/2019 and present you with the Governor’s Pin. We are confident you will lead the district with distinction in the coming year. 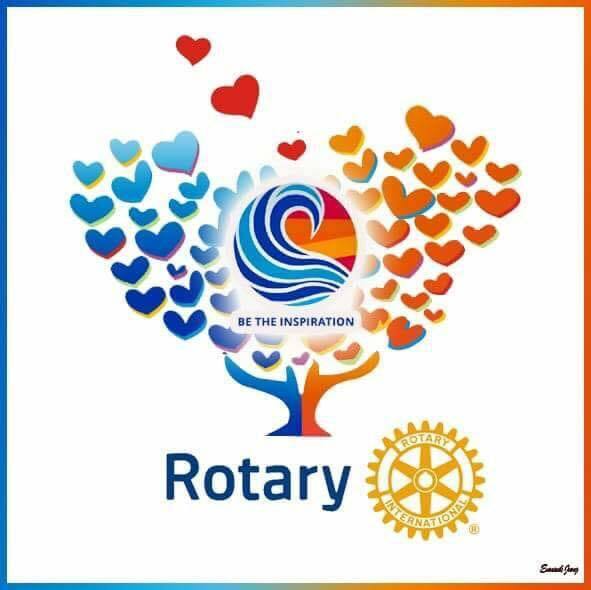 I extend congratulations on behalf of all Rotarians. 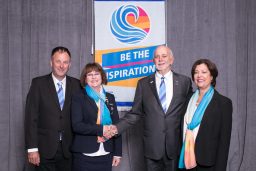 Thanks to my District leadership team – the 13 Assistant Governors who bring a huge range of Rotary knowledge and experience to their clusters, our District Committee Chairs and other financial, communications and administrative support officers – all of them committed Rotarian volunteers who are there to support our clubs. Now… 2018-19… what do I see ahead for us in District 9940? At a global level, let’s BE the Inspiration to the world community – let’s put some significant effort into funding the last vital push for the End Polio Now programme and achieve the elimination of this cruel, crippling disease from our planet. 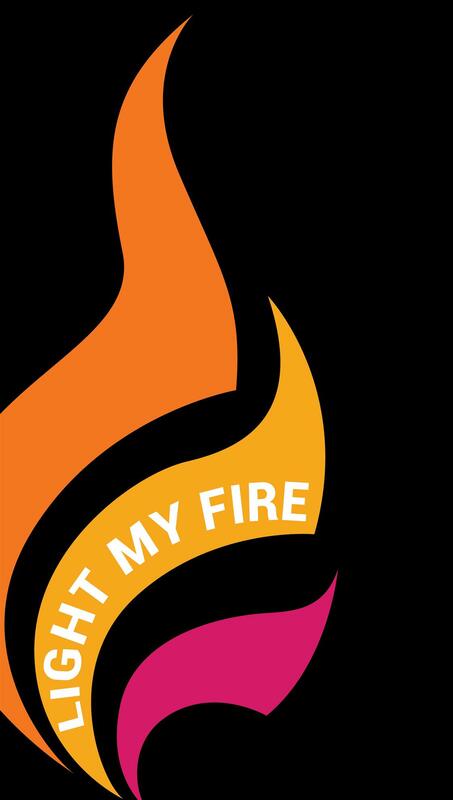 We’ve battled this disease since 1985!! With only 11 cases in the entire world so far this year, why would we give up at this point? ?